Each year we select a series of races that comprise our Road Running challenge, known as the ‘Grand Prix‘. Road Runners are all invited to enter these races, and your results will be tabulated. Prizes will then be awarded at the annual Presentation Evening, usually held in October. This year there will be 4 divisions of ability, initially based on the club’s Road Running group that you are in. This means more prizes! Some people are in a group but well above the ability of the rest of the group. If that applies, you will be placed in the division above for the Grand Prix. This will be decided by the Road Running Secretary (Alan Wright) and the relevant Coach. Awards will be presented for each male winner and each female winner in each division. 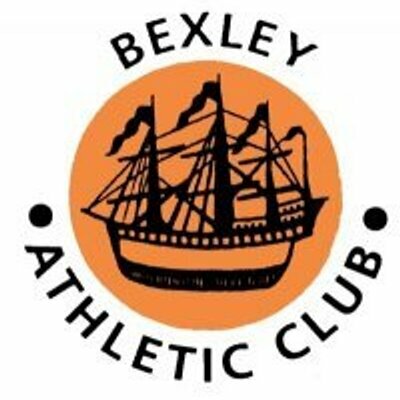 For each division 10 points will be awarded to the first place Bexley AC athlete, 9 points for second place etc. Any questions please contact Alan Wright. Training session start times vary, see here for more information.